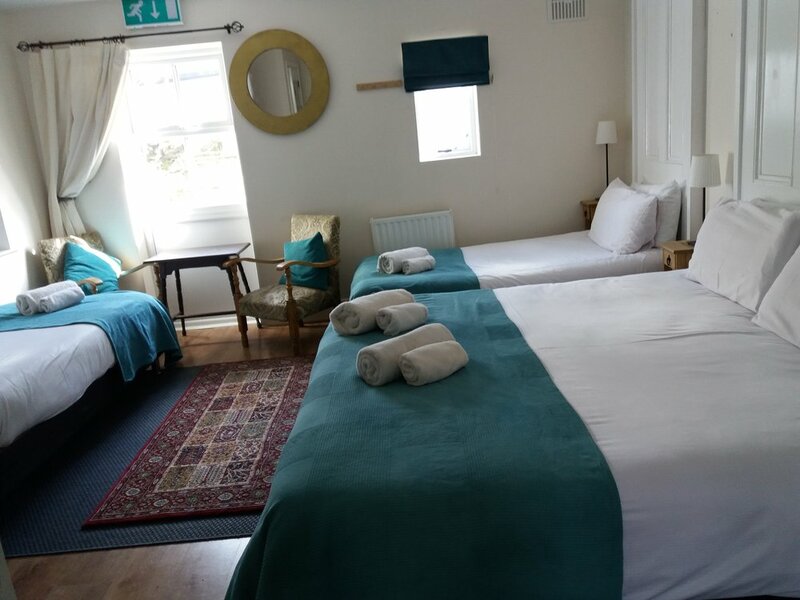 Our double bedrooms contain one king size (6'x3' /1.8 x 1.8m) bed and all have their own bathroom. Each also has its own TV. Our coffee/station is on the landing just outside the bedroom. Our double bedrooms contain one king size (6'x6' /1.8 x 1.8m) bed and all have their own bathroom. Each also has its own TV. Our coffee/station is on the landing just outside the bedroom. The twin bedroom contains two single (6'x3' /1.8m x 0.9m) bed and all have their own bathroom. Each also has its own TV. Our coffee/station is on the landing just outside the bedroom. This bedroom contain two single (6'x3' /1.8 x 0.9m) and one king (6'x6' /1.8 x 1.8m) bed and all have their own bathroom. Each also has its own TV. Our coffee/station is on the landing just outside the bedroom.